When it comes to flooring, there are a many options when it comes to selecting the best for your home. You need to consider all the possibilities; budget, colour, and the backdrop of each room. In recent years, wooden flooring has emerged as the top choice for many homeowners. 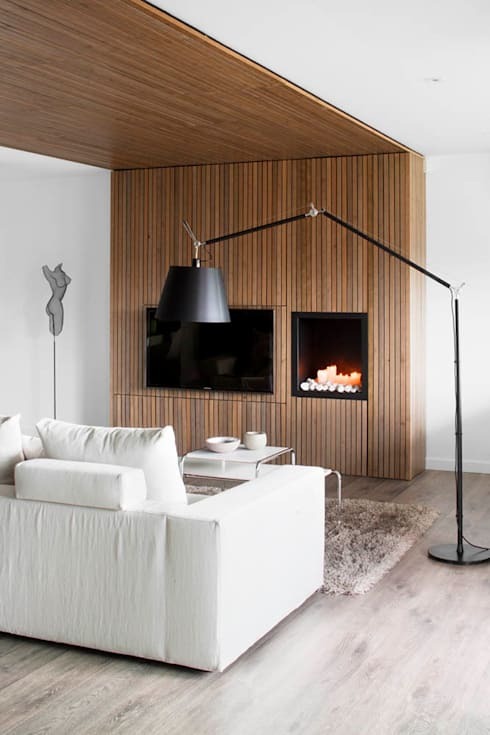 Wood is adored for its timeless, natural look. But it also has its disadvantages. Hence, modern innovations in wooden flooring were brought in with plank tiles. So, why choose wooden tiles over a classic wooden floor? 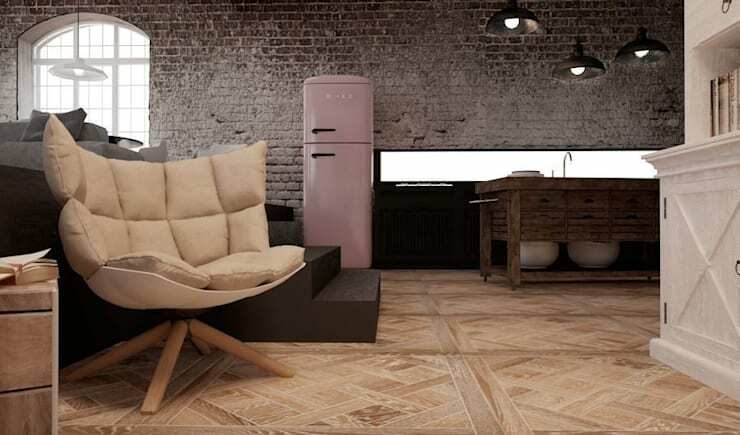 In fact, these wooden tiles look just like real wood floors! As well as this, they are a massive hit for their easy-to-maintain qualities, similar to ceramic tiles. Read on for our guide to getting gorgeous wooden tiles in your home! Wooden tiles can be partially composed of earthenware, porcelain, ceramic or stoneware. Because of this, they are more reliable and durable than wood. The warm wooden tiles are much-loved for their easy-care properties. Not only this, these tiles are also more eco-friendly as there is less need to cut down trees to make them. These beautiful tiles are from the house of The London Tile Co. 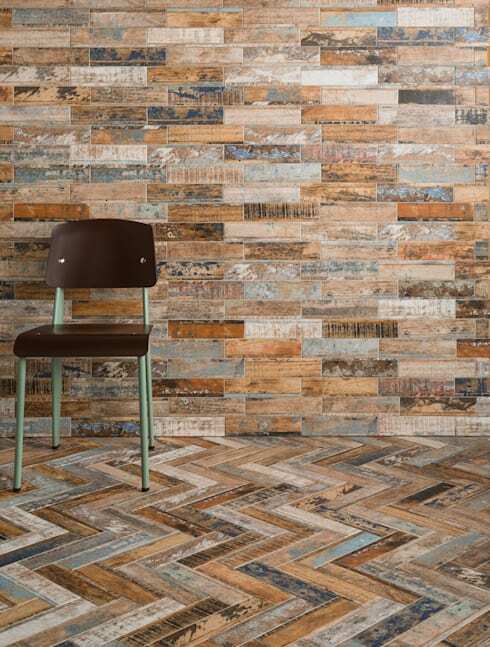 Both walls and floors can adopt these first-rate ceramic and porcelain wood-effect tiles. Wooden tiles varieties also include ship floor design, herringbone or chopsticks. There are certain lavish woods such as boxwood, walnut, or mahogany which can conveniently be incorporated into any apartment. Besides this, wooden tiles are also distinguished on the basis of size. They generally come in a classic standard dimension, which makes planning your floor much easier. 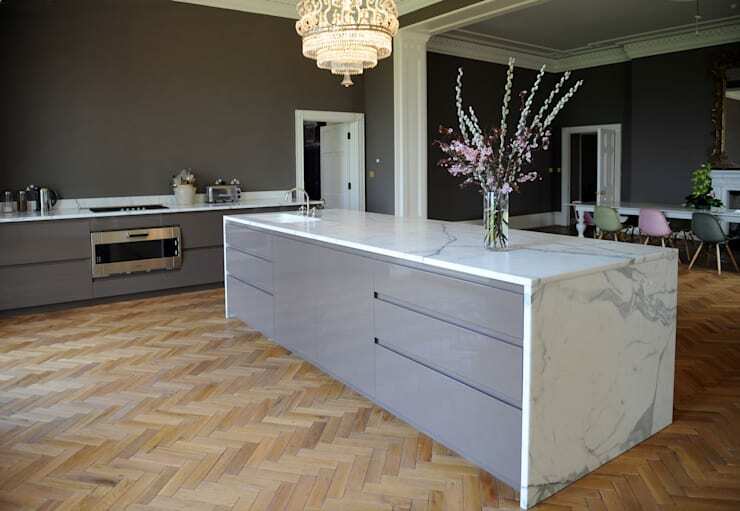 Designing an inimitable pattern on any wooden flooring is highly expensive and time-consuming. 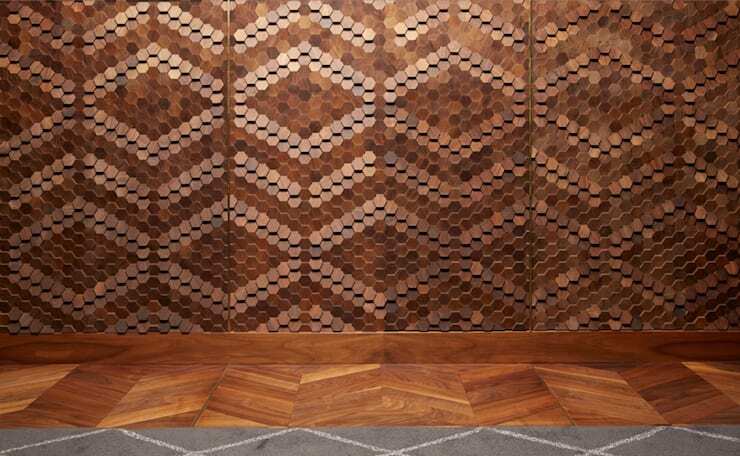 With wood-look tiles, it can be easily built-in and customized. 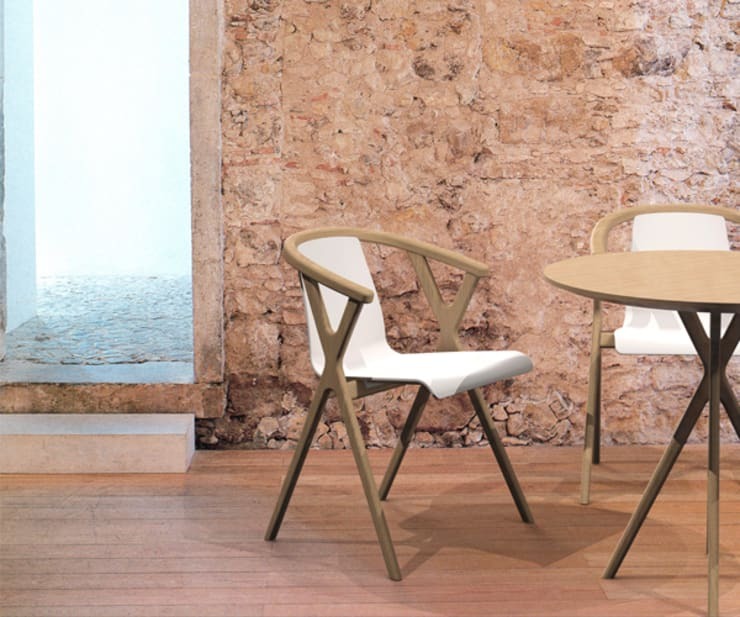 Go for mix-and-match colours, sizes and grains to create an exclusive design. Typically, wood has some drawbacks; it can fade when exposed to too much daylight and distort when subject to moist conditions. So, if you are opting for hardwood in the kitchen or bathroom, you may be short of luck and end up in trouble. 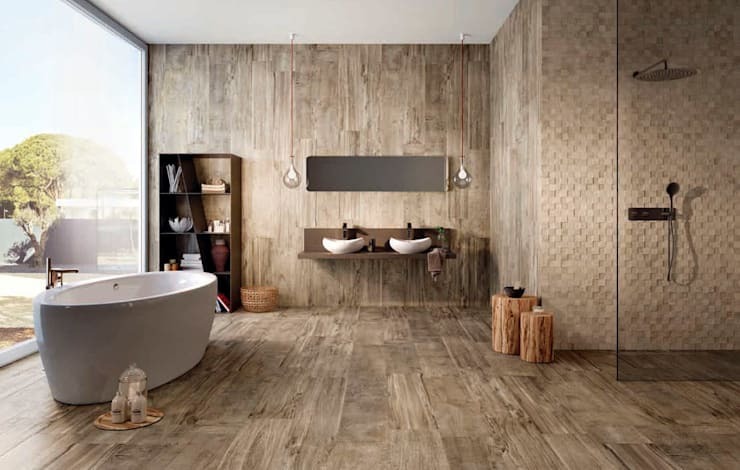 Conversely, wood-effect tiles can tolerate unlimited application anywhere in your home. You can include these tiles near the shower area. Wood-look tiles are in high demand for their ability to resist liquids, thus, eliminating problems related to mould, warping, and staining. Hardwood flooring is extremely difficult to maintain. It cracks, scratches, warps, chips and dents due to any stress caused by traffic, pets and other messes. Therefore it needs to be cleaned and sanitized periodically, like refinishing or resealing every couple of years. Wood-look flooring is very easy to clean and to maintain. You need not worry about your cleaning process or damaged tiles. For that reason, don’t get traumatized when your pet runs to the door or when your child drops something on the floor! If any damage occurs on your wooden tile, you can simply swap multiple tiles (or a single tile) without ripping up an entire section of the floor. Simply invest in a new sealer, like silicone or grout, to keep the tiles away from moisture. The main advantages of choosing wooden tiles over wooden flooring are the following: the permanence of colour, endurance, diverse patterns, easy to maintain, effortlessly replaceable, resists wear and tear. Wooden floors develop microbes over a period, while the same does not happen with plank tiles. Wooden plank tiles are usually partially made from porcelain or ceramic and can resist wear and tear for a longer period. Sunlight can easily stain wooden floors, whereas wooden tiles do not darken and fade as much. Wood has considerable water absorption qualities, which makes it easy to deform once exposed to moisture or water. In contrast, plank tiles are water resistant. In addition, wooden tiles come in various shapes, sizes, patterns and awe-inspiring colours! You can opt for a range of hues, starting from reddish pine, zebrano, golden oak, limed oak to mahogany. These are the top reasons to consider plank tiles over a hardwood floor. Wooden tiles are regarded as a more resilient flooring than some other tiles. Even their scratches can easily be conquered with a strong vinegar base or chemical cleansers. Also, in contact with water, wood tiles are not affected as they are relatively impervious to moisture. Wood-look tiles made of porcelain or stoneware are even suitable for outdoor use. You could integrate these tiles on a terrace or balcony—imagine! Are you a fan of wooden flooring? Which of these designs so you like best? Let us know in the comments!